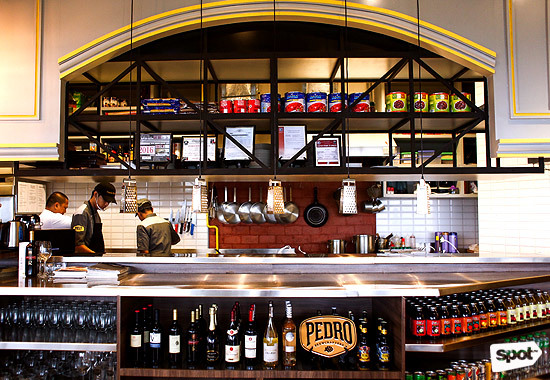 This is the cheesiest restaurant in the Metro. 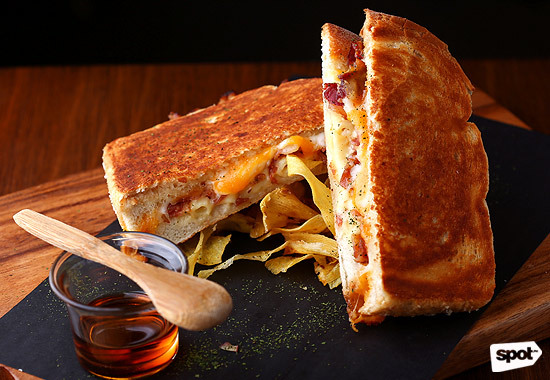 (SPOT.ph) When the era of flappers and The Great Gatsby-esque extravagance abruptly came to an end, people turned to the simple grilled cheese sandwich to ease them through the Great Depression. From its days of being an affordable and accessible meal during the economic crisis, grilled cheese has become a classic snack for both the playful kindergartener during recess and the allowance-dependent college student cramming for a final at two in the morning. The familiar taste of melted cheese has become a universal symbol for comfort and happiness. You'll see it from outside. Yup, you can have your sandwich with booze. The inspiration behind the color scheme is pretty obvious. 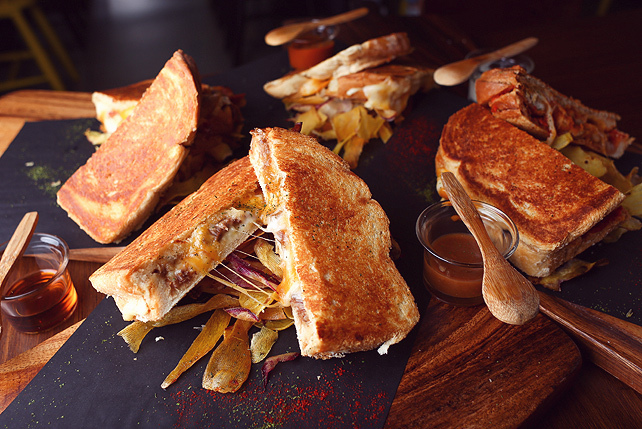 This is what inspired newlyweds James and Chessie Torres to create Melt Grilled Cheesery. 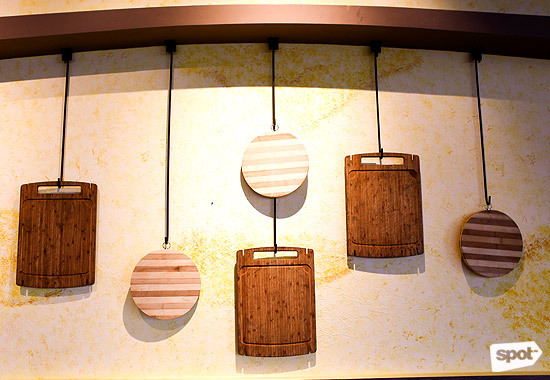 “It’s always been my fantasy to have a restaurant that’s dedicated to just cheese,” explains Chessie, laughing. She adds that cheese has always been something that made people happy. With walls painted a marbled yellow and the smell of freshly grated mozzarella hanging in the air, it's easy to detect their source of inspiration. 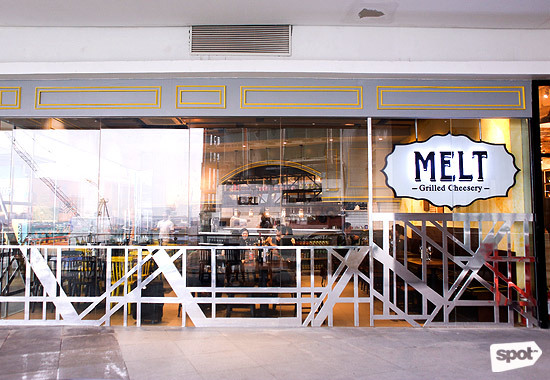 Melt serves every possible rendition of cheese there is, from a wide array of melted cheeses to delicious homemade cheesecakes. They make all their dishes from scratch (except the bread, which is customized to their specifications) and oozing cheese is put on full display. 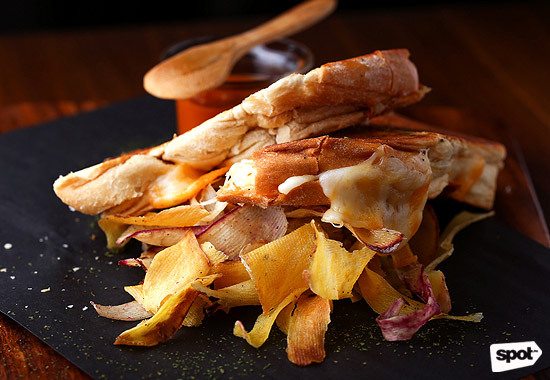 Their unique grilled cheeses are large, paired with an equally hefty serving of crunchy kamote chips and a specialty sauce on the side. 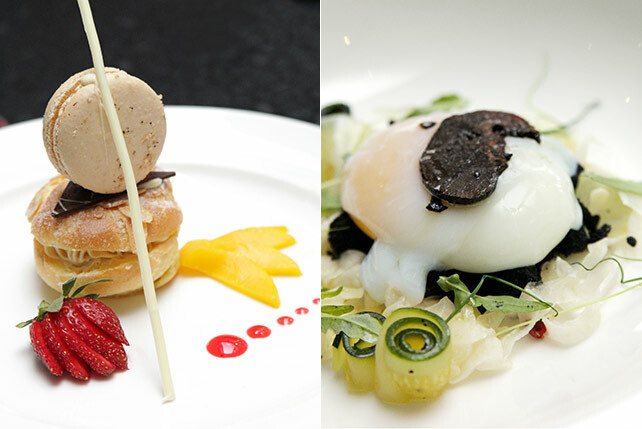 Chessie and James designed the menu so that no two flavors taste the same and there's something to appeal to every kind of palate. They even have specialty wines specifically prepared to match each sandwich. 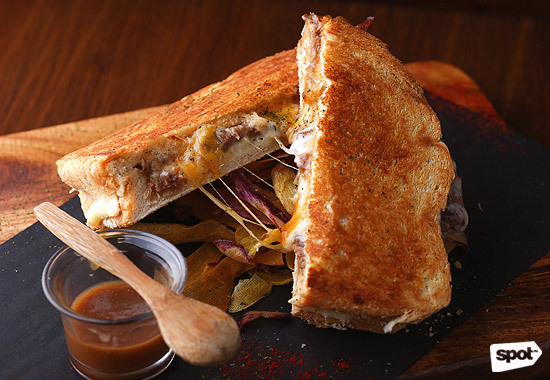 The Classic Melt (P275) is made from their special blend of mozzarella and cheddar cheese hugged by two decadently buttered pieces of sourdough bread (tip: you can opt for special black bread brioche, too). 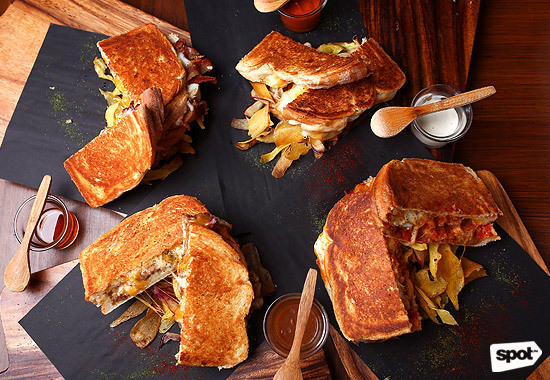 For a little twist on this staple sandwich, they added a light honey drizzle and a layer of tomato puree, as if to put the traditional combination of grilled cheese and tomato soup in one delicious bite. 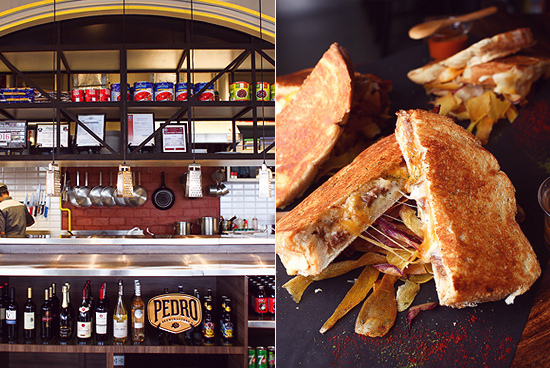 For lovers of all-American comfort they have the Bacon Mac & Grilled Cheese (P395). It’s filled with maple-glazed bacon strips fried to perfection with three-cheese macaroni and cheese—the cheese, of course, spilling out like a tease. 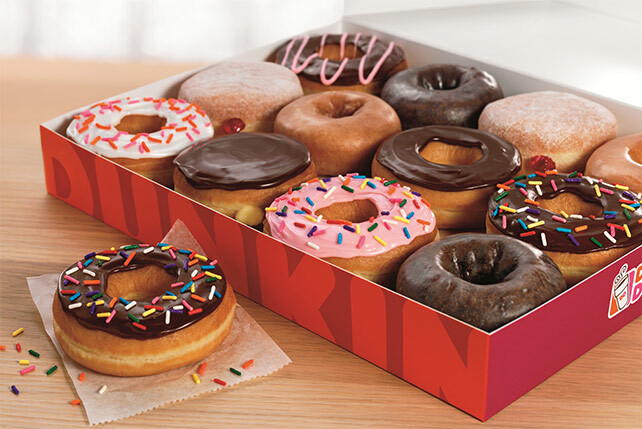 This is a customer favorite (many of them would actually eat it in the nearby cinema). Their Big Buff (P420) is James’ favorite. Inspired by the flavors of a pizza, it lives up to its name as the biggest sandwich on their menu. It has everything you could possibly want in a grilled cheese sandwich–and a pizza. 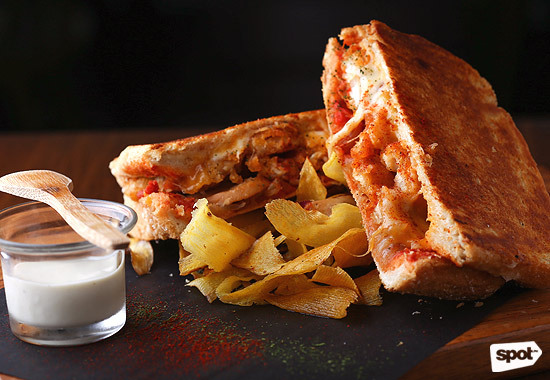 It comes with their house-blend of cheeses, buttery fried chicken breasts coated in Buffalo sauce, pepperoni, red bell peppers, caramelized onions, smoked paprika, and aioli. If you’re looking for something to chow down on your cheat day, this sandwich is it. The Pot Roast Cheese Toast (P545) is one of the more elegant flavors on their menu. It’s a beef pot roast with mashed potatoes sandwiched along with Melt’s house blend of cheeses. Standouts are the sweet grilled cheeses. 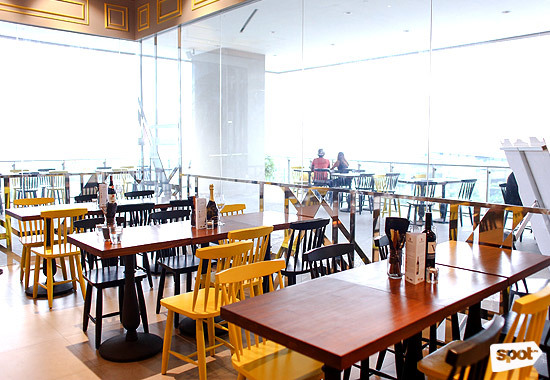 Their Dulce de LeCheese (P295) pairs hot and cold with a freshly made sandwich filled with mozzarella, cheddar, and cream cheese and a scoop of vanilla ice cream on the side. 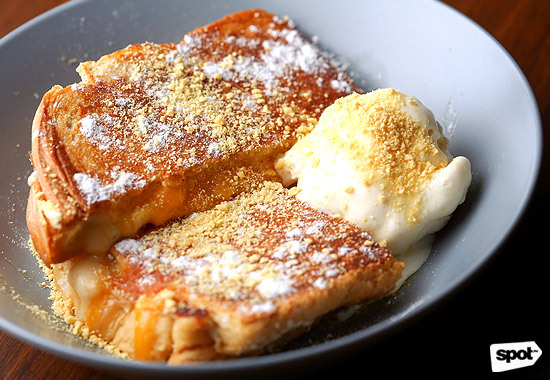 It’s drizzled with their homemade dulce de leche topping and rosemary-infused olive oil. Cheese lovers, are your hearts beating fast right now?